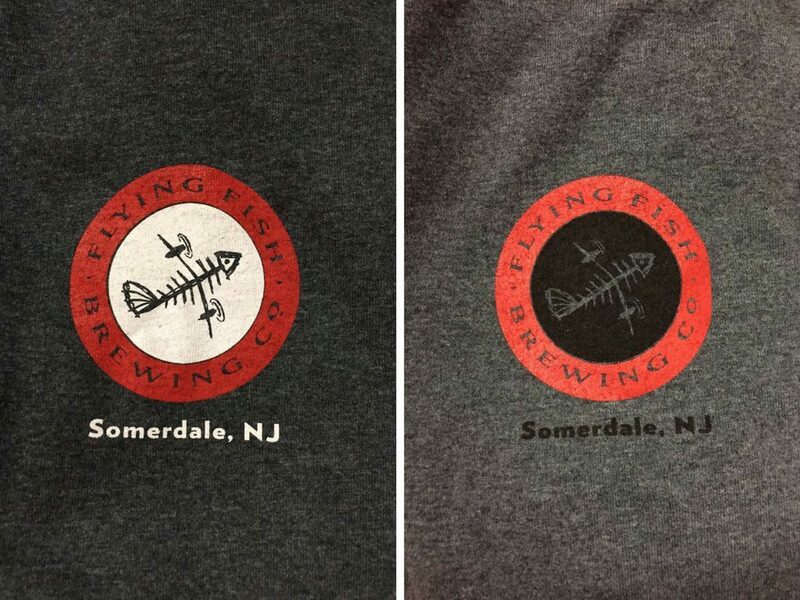 One of our longstanding customers, Flying Fish Brewery, is getting an update on some of their apparel. In the past, this beloved microbrewery has been using their signature logo on a basic (yet quite impactful) white tee. Synergy Print Design was looking forward to meeting again this year to take their order for a restock. We were quite surprised when they asked us to mix up the look of their custom brewery shirts this time around! We started out with two new shirts, both in different shades of gray. The darker shirt was the perfect backdrop for printing the Flying Fish logo in bold red and white ink with white print. The heather gray shirt looks amazing with a salmon and black logo. The Flying Fish logo has so many intricate details. It required special attention to make sure that the shirts came out perfectly. Fortunately, Synergy Print Design is known for our meticulous attention to detail and ability to give our customers exactly what they want. Both shirts to an excellent job of highlighting the logo while creating a more worn or antique look to the brand. As the largest craft brewery in New Jersey, they deserve to have a unique shirt to help market their beloved brand! Start off your new year with a fresh look – let Synergy get your business ready for the next level!